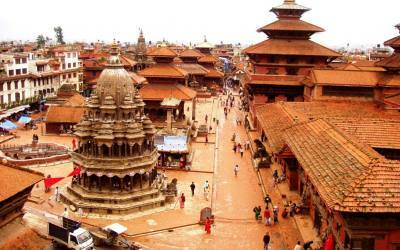 Situated at an altitude of 1,401m, Bhaktapur covers an area of four square miles. 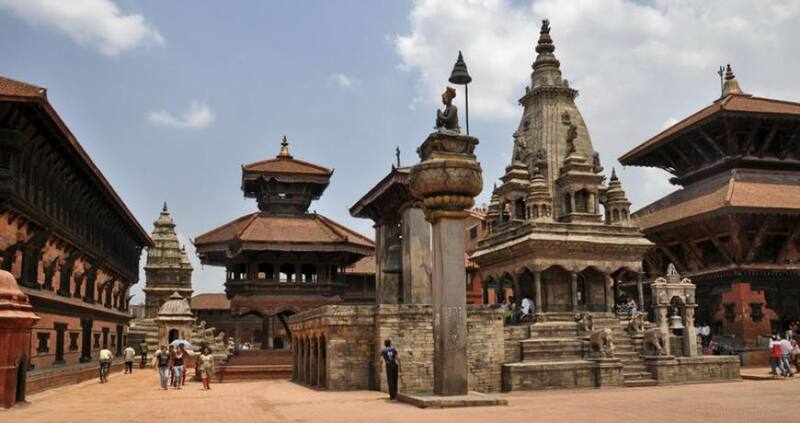 Bhaktapur or the city of Devotees still retains a medieval charm and visitors to this ancient town are treated to myriad wonders of cultural and artistic achievements. The past glory of the Malla rulers continues to be reflected at the Durbar Square. Pottery and weaving are its traditional industries. Bhaktapur is famous for woodcarving and the Bhadgaolen topi or cap. The city lies about 14 km east of Kathmandu and can be reached by public transport, private vehicles and bycycle. The Golden Gate is the entrance to the main courtyard of the Palace of 55 Windows, built by King Ranjit Malla. The gate is one of the most beautiful and richly carved specimens of its kind in the entire world. This gate is embellished with deities and monsters with marvelous intricacy. The palace of 55 Window was built in 1700 AD. Among the brick walls in their gracious setting and sculptural design, is a balcony of 55 windws. This balcony is a masterpiece of wood carving. The stone temple of Batsala Devi which is also located in the Durbar Square is full of intricate carvings. 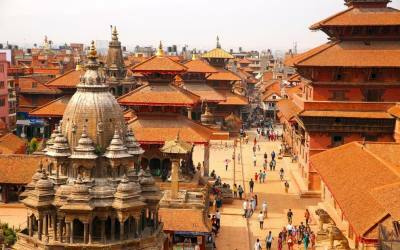 This temple also sets a beautiful example of Shikhara style architecture in Nepal. There is a bronze bell on the terrace of the temple which is also known as the Bell of Barking Dogs. This colossal bell, placed in 1737 AD, used to ring to signal curfew those days. The five-storied pagoda was built in 1702 AD by King Bhupatindra Malla. It stands on a five terraced platform. On each of the terraces squat a pair of figures. 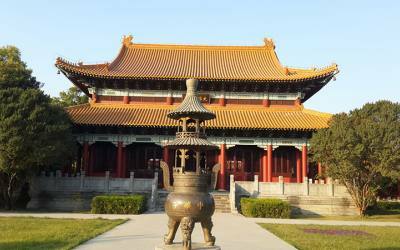 This is one of the tallest pagoda and is famous for its massive structure and subtle workmanship. This temple was first built as a one story pagoda but was later changed into a three – storied temple in 1718 Ad by King Bhupatindra Malla. The Temple is noted for its artistic grandeur. It is dedicated to Lord Bhairav – the God of terror. Built in 1427 AD, this temple is said to have been built form the trunck of a single tree. Near this temple is a monastery with exquisitely carved peacock windows. Situated in a beautiful surrounding of Bhadgaon, the temple of Ganesh is placed in a sylvan setting to catch the first rays of the rising sun. It is a good picnic spot flanked by many attractive landscapes. Situated at the end of a long ridge which runs well into the Valley, It is said to have been built by king Hari Dutta in 323 AD said to be the oldest temple in the valley. It was listed in the UNESCO world Heritage monument list in 1979. It is situated on a hill above Panauti, It requires an easy drive or good walk to get there. 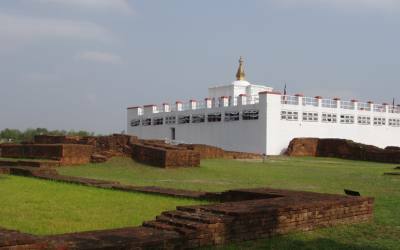 There is an amazing legend related to the Buddha which is commemorated by an ancient stone slab and a stupa with the all –seeing eyes of Lord Buddha. About 3-4 hrs walk from Dhulikhel will bring you Namo Buddha. 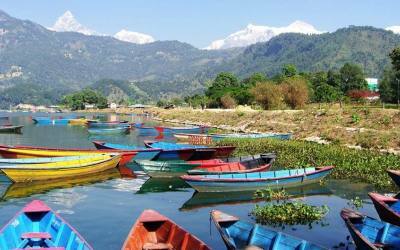 The route form Dhulikhel to Timal Narayan is ideal for a short trek. Form here one can have a beautiful view of Gaurishankar Himal and other important peaks as well as the Sunkoshi river. A pleasant option it to visit the village of the Tamang People in this area. It is a 42km, one hour drive form kathmandu to Palanchowk on the Arniko Highway. This noted historic Temple of goddess kali is located at a hilltop some 7 km north of Panchkhal. One can really enjoy the panoramic view of the land form this spot. This temple is said to have been constructed during the reign of King Man Dev. The Temple houses a three feet high idol of goddess Bhagwati (Kali) artistically carved in black stone which is one of the best examples of such intricate workmanship.